Are you a business based in the North of England who would like to be seen by more potential customers? Create an account to submit your news for review by our editors. We publish over 90% of the new articles that are sent to us. Please check our publication guidelines below to ensure that have the best chance of publication. Professionally written news release relating to businesses based in the North of England. Industry and business expert insights; written by businesses based in the geographic regions that we cover. Business articles that have high relevance to the business sectors that we represent. All news articles should be accompanied by a professional photograph that you have permission to use. We cannot publish marketing advertorial or direct promotions without prior agreement. We only publish news after it has gone through our formal editorial review process. If we think that your news or article does not fit our editorial guidelines, we reserve the right to not publish it across our network. To create a new account please select Login/Join Us from the top menu. If you already have an account and just want to login you can Login here. Remember that your First and Last name will be used on your public profile so please use your real name, and remember to make a note of your password.By registering you confirm your agreement to our terms and disclaimer. Set-up your account profile – Promote yourself! A full account profile will add credibility and authority to any news or articles you publish using your account. The first thing you will need to do after you have registered and logged in is to use the Edit Account Profile to set-up a full profile before adding any news – we’ll be much more likely to publish your news if you have a full profile! You will need to complete your account profile with a suitable photograph and optional background image. Your profile picture needs to be no larger than 200kb and it’s size needs to between 200px and 500px wide.Your cover picture needs to be a file size no larger than 200bk and needs to be between 500px and 900px wide. Don’t forget to add links to your social media accounts. The more complete your profile, the more publicity for you! If you wish to edit your account from your mobile phone you won’t see the edit account profile link. So just follow the link here: Edit Account Profile (only works after you login). Select the Add Your News link from the top menu to start submitting your business news. When you submit your news, it’s important that you select at least one topic and at least one area from our list of categories. Then let us know if you want to include a link to your website or make your news a featured news article. Please remember that we review every news item that is sent to us to ensure that it meets with our editorial requirements – it sometimes takes us a day or so for us to review news items, so check back regularly. Unfortunately, we can’t publish everything that is submitted so please ensure your news is newsworthy, original and high quality. Please ensure that you include a good quality photographic image and that you have the express permission from the copyright owner to use. Photographs should be resized before you attach them to your news item. Photographs need to be between 1000 to 1200 pixels (px) wide. Please use .JPG format and ensure that your file size is less than 1MB. We can only accept landscape shaped images. If accompanying photographs are not of an acceptable quality we won’t be able to publish your news item. We endeavor to publish as many news and business articles as possible – but due to the volume of news and varying quality, we can only publish news that meets our editorial guidelines. 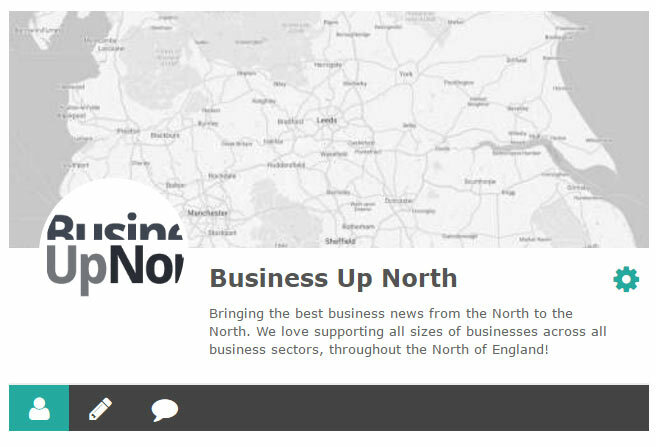 Please allow us time to review your news – just check back at the Business Up North website in a day or so. Just like the printed media we often we’ll make editorial changes to published news items. If you wish to add news our account from your mobile phone you won’t see the add news link. So just follow the link here: Add Your News (only works after you login). If for any reason you need to alter account settings including your First Name, Surname or Password you can alter these in the Edit Account Settings area. If you wish to change your account settings from your mobile phone you won’t see the add edit account settings link. You will need to follow the link here: Edit Account Settings (only works after you login).